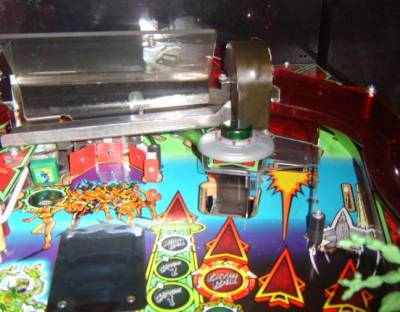 As all RFM owners know there is a flash dome above the scoop to the rear of the playfield. 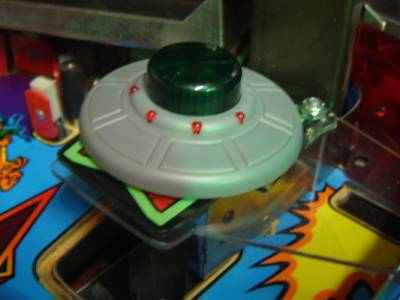 Just the right place to mount a 3rd saucer. 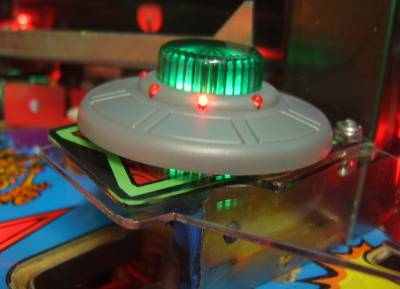 A 3rd saucer should also have leds as well. It only needs 5 leds as you cannot see the rear. 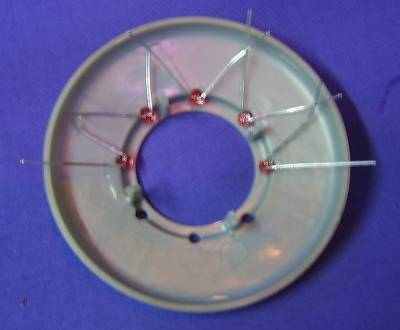 Attach five 3mm leds in the saucer holes with the anodes and cathodes next to each other so they run in series. Solder the legs and insulate with electrical tape. 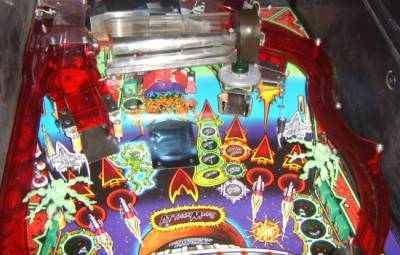 Find the connector for the flash dome and use a resistor (connected to the cathode) to limit the voltage. Test with crocodile clips to make sure it works. 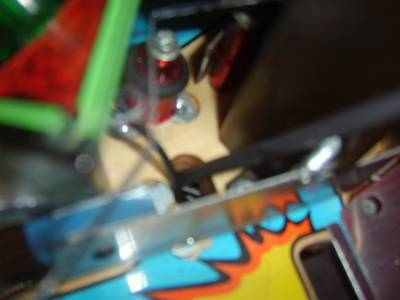 If it does solder the resistor to the wire. 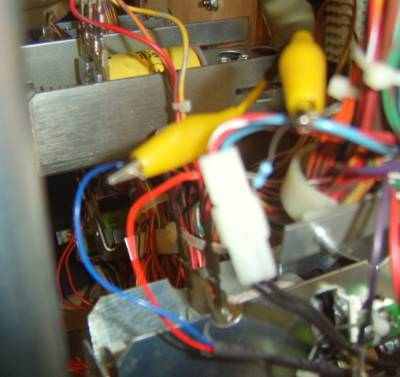 As I used single strand wire I was able to connect the wire to the connector block WITHOUT soldering. It all just pushed together in the connector. This modification is developed by Stan Simpson.